Last week, Torbay Community Development Trust and Cosmic worked together to deliver a session to participants on the Positive People project. The group set off on an excursion around the beautiful grounds of Cockington in Torquay. 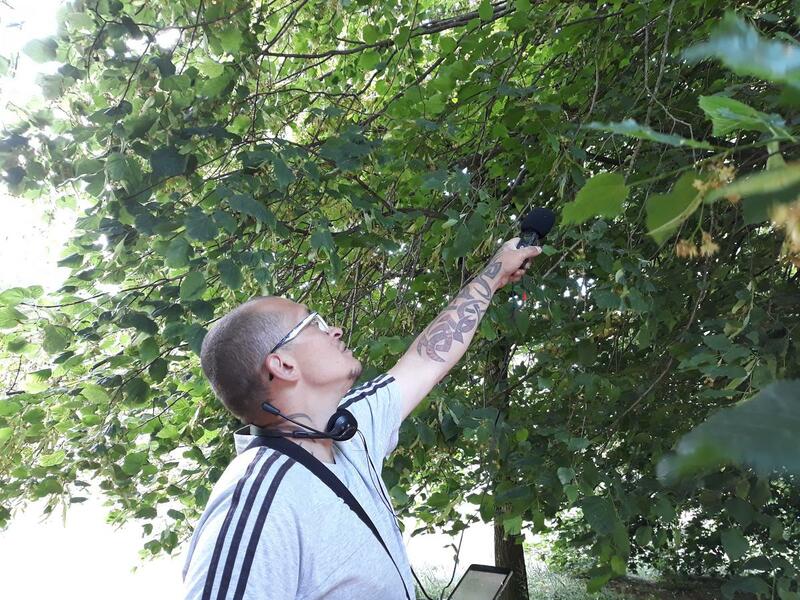 Along their way, they followed a ‘sound path’ - letting the hum of nature lead them on a walk while they collected the audio using an H1 Zoom recorder. Guided by a trainer, the group were instructed to stand still, close their eyes and simply listen to their surrounding environment. 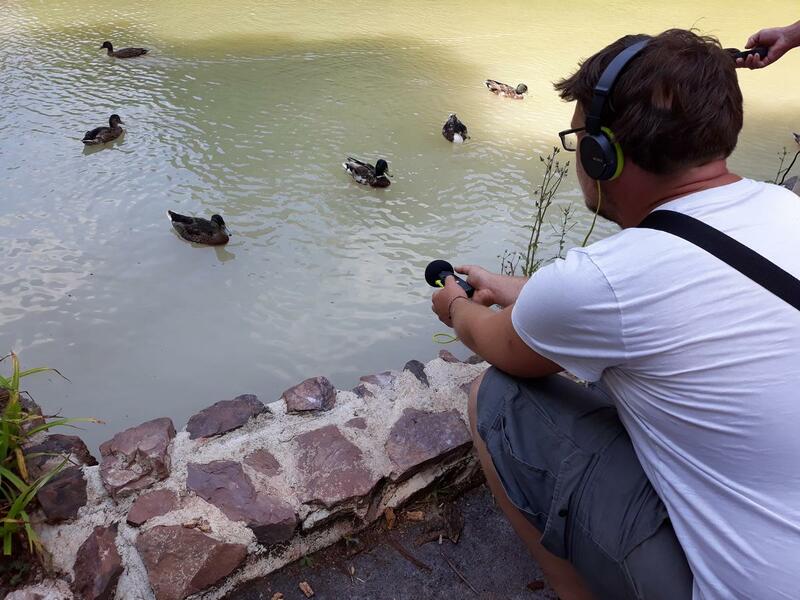 Equipped with headphones, they could drown out other noises and use their directional digital recording devices to capture the sounds that surrounded them. The equipment was professional but simple to use and with a briefing at the beginning of the day, participants were able to use the different functions of the device, including adjusting input levels to compensate for the volume of their surroundings. They captured birdsong, babbling brooks, barking dogs, distant planes and the quacking of ducks on the pond. 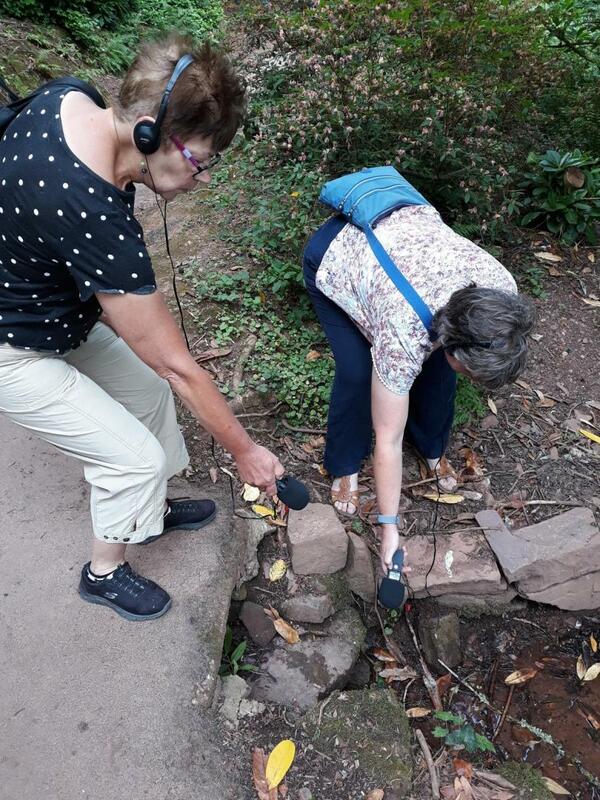 As the day went on, the group were creative and made their own sounds, using the different textures of the walk to record their footsteps on soft grass, crunchy leaves and resonant stone. Emma, a digital training assistant for the project, said “The day caused you to take stock of what was around you. I noticed things that would normally be unheard and I could see the benefit this was having to putting the group in a relaxed mood”. After the session finished, there were almost 200 minutes of audio files. These were edited and condensed into an 8-minute audio clip that participants can listen back to and escape whenever they need. You can listen to the recordings of the day by clicking here.